The Childminding Working Group met for the final time in September. A ‘Drafting Group’ are currently preparing the summary report. 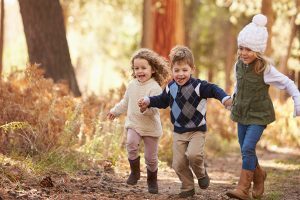 It is expected that the Working Group proposals on reforms and supports for the Childminding Sector will be with the Minister by January 2018. Additional funding provided to Barnardos and ECI to resource additional vetting processing staff resources. Meeting with Garda Vetting Unit; identification of key issues that may delay processing including incorrect email addresses; applicants not checking emails; applications not completing information on time. 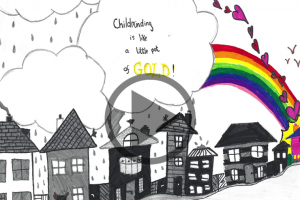 Improved communication with the sector by DCYA, Tusla etc. Restructuring in DCYA will establish a specific communications unit. DCYA restructuring from November and will create a specific unit to further develop the strategy. 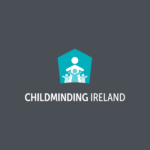 To ensure that members are adequately resourced and to increase recognition of the quality childcare that is provided by members of Childminding Ireland, the Board has recently taken the decision to strengthen membership criteria. We are aware that many of you already have the additional criteria. We want to reassure those of you who have yet to complete the above, that Childminding Ireland will be offering support to you. We will facilitate Paediatric First Aid training throughout the country and will look to keep the cost of this training to a minimum. With regard to the Child Protection online training, this is free of charge and takes 1.5 hours to complete, you can do this in several sittings if you so wish. We would encourage members to complete the additional criteria as soon as possible, however, you have plenty of time. These additional criteria will only become mandatory in 2019. Childminding Ireland met with Alan Farrell TD Chair of the Joint Oireachtas Committee on Children and Youth Affairs. The first childminding specific Child Protection trainer has almost completed her training. The Childminding Ireland CPTC course is due to launch in Mayo during January 2018 and the expectation is that courses will run regularly on a national basis. In order to support delivery of CPTC, our plan is to have experienced childminders deliver this training. If you would like to be considered to deliver this training, please let us know at training@childminding.ie There will be an application process to be completed. This project is advancing well following an initial information meeting in September. A training day was held in November where 8 volunteers took part in an “active listening, boundaries, supports and roles” training course. The next step is to work out the practicalities of rotas and volunteer availability. More news on this to follow.